Pope Francis has called all of the presidents of the world's various conferences of Catholic bishops to Rome for a February meeting on clergy sexual abuse, in the first such global summons by a pontiff. Source: NCR Online. Paloma García Ovejero, the vice director of the Vatican press office, announced the decision in a briefing yesterday, saying the Pontiff decided to make the move during a meeting of his advisory Council of Cardinals and the meeting of bishops will take place on February 21-24. 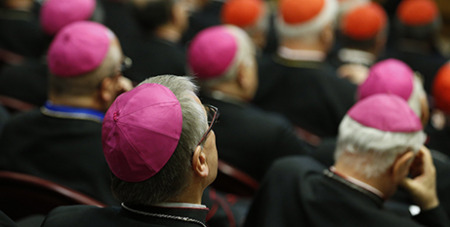 In a statement provided to CathNews, Australian Catholic Bishops Conference President Archbishop Mark Coleridge said such a meeting is “unusual, but it is appropriate and justified as the Church internationally must stand united to eliminate this evil from our midst”. “As the Australian bishops and leaders of Catholic religious orders said last month, so must the universal Church say as one: Never again,” Archbishop Coleridge said. Announcement of the first-of-its-kind meeting comes as Francis is under intense global scrutiny for his handling of clergy sexual abuse after former Vatican ambassador Archbishop Carlo Vigano released a document on August 26 alleging a systemic cover-up of allegations against now ex-cardinal Theodore McCarrick. Today, Francis is set to meet with the president and vice-president of the US bishops’ conference in a kind of high-profile encounter not seen since April 2002, when eight US cardinals were summoned to Rome to discuss revelations of abuse with Pope John Paul II. Although the Pope meets frequently with groups of bishops from particular countries, a pontiff has never before called all the presidents of the world’s bishops’ conferences to Rome.